Western Australia is Australia’s largest and most diverse state. From the 2.6 million square km of arid desert to an array of snorkelling and diving sites on coral reefs to the wetlands of the Kimberley. In order to take in the best of what this incredible state has to offer why not customise your own holiday with expert help from Discover the World’s tailor-made specialists. Visit the places you most want to see, stay in accommodation that suits your needs and enjoy the activities you want to do – the perfect way to get under the skin of this state on your own terms. There are numerous beautiful heritage sites to explore including Ningaloo UNESCO World Heritage Centre (pictured), Shark Bay and Purnululu National Park. Did you know that the UNESCO site of Ningaloo Reef is one of the largest biological structures known and visible from space? It is home to over 750 species of reef fish, over 1000 species of marine algae, 600 types of crustaceans, 655 mollusc species and 69 species from the ICUN red list of threatened species. 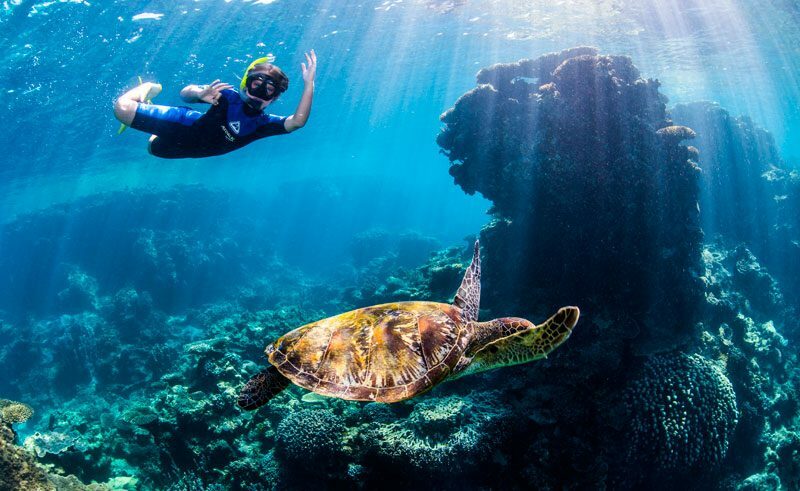 Why not explore this underwater world for yourself on our Ningaloo and Shark Bay Discovery 8-day self-drive holiday. Journeying from the cold Southern Ocean to the warmer waters of the Indian Ocean every year between May and November, over 30,000 humpback whales make their annual migration north, hugging Western Australia’s dramatic coastline. Up until 2016, you could only witness these majestic creatures breaching and frolicking from the relative safety of a whale watching vessel; however from August to October and guided by specialist providers you can actually swim alongside these creatures in Ningaloo Reef. How many people can say they have swum with a humpback whale? Definitely one for the bucket list! Get a taste of the outback in the Kimberley region – a diverse area of caves and gorges. 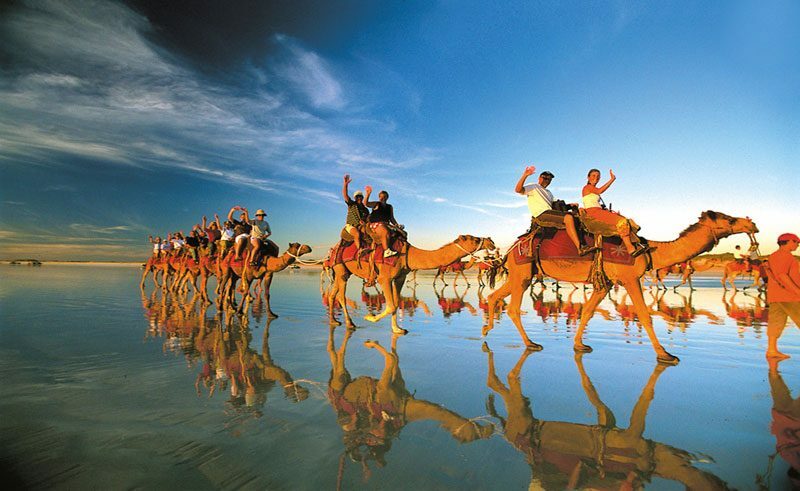 Try a 4WD tour on the Gibb River Road or the famous camel ride at sunset on Broome’s Cable Beach (pictured). The Kimberley, one of Australia’s most remote and hostile environments, is arguably best explored on an escorted tour. Travelling by 4WD with specialist guides and like-minded travellers you can explore the highlights of The Kimberley without any of the anxiety. Swim in water holes safe in the knowledge they are croc-free, hike through gorges while your guide explains ancient rock art to you, and return to your accommodation knowing that a delicious meal and glass of wine will be ready and waiting for you. Our fully escorted Kimberley Complete tour includes various activities, all meals and accommodation. 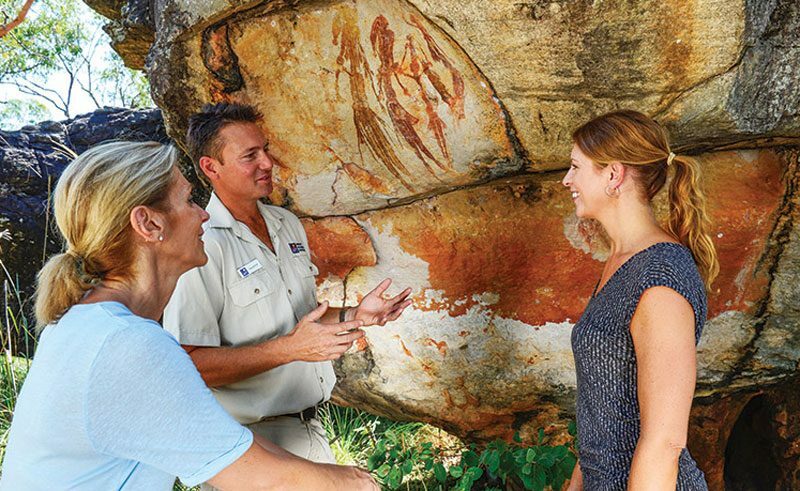 Discover the wealth of history and heritage in WA, from aboriginal painting and rock art, Freemantle prison and Boab Prison Tree. Why not enhance your experience and knowledge by joining local Aboriginal-led excursions? Hear the stories of Dreamtime, learn about ancestral traditions and encourage cultural continuation. Perth has recently been revitalised and is a great city to explore, hosting international events and festivals as well as a thriving fashion, food and music scene. 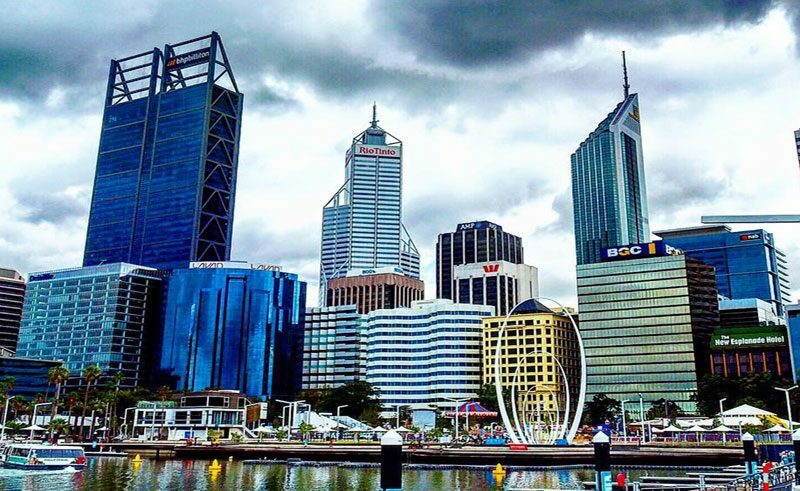 Did you know that Perth is one of the most isolated cities in the world? Its closest city neighbour is Adelaide, a staggering 2,200 km away and it is closer to Singapore and Jakarta than its national capital, Canberra! Its remote location is just one of the many reasons Perth has developed such a flourishing and interesting city culture. Spot the endangered dugong on an exclusive cruise into the dugong Restricted Management Zone in Coral Bay, look out for the elusive black-footed rock wallaby hiding in the cliffs of Windjana Gorge on an escorted day tour to the Kimberley region or take the ultimate challenge and pose for a selfie with the furry quokkas of Rottnest Island. 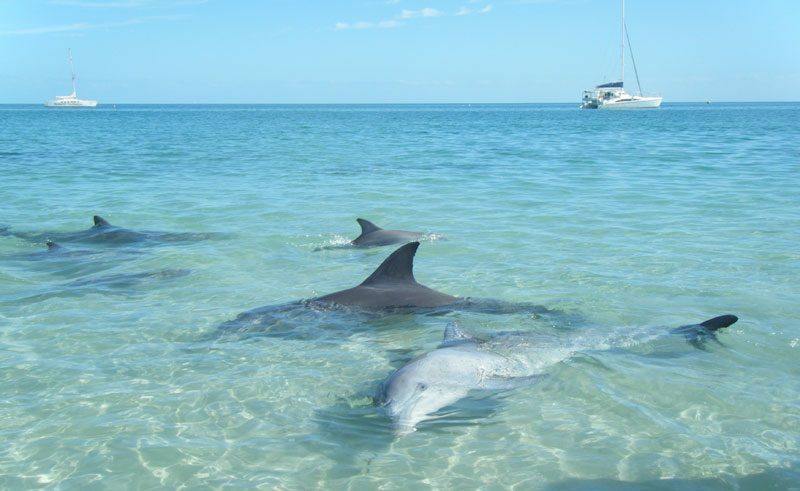 Western Australia is renowned for its spectacular landscapes and natural wonders. Observe the staircase to the moon phenomena between March and October. Best seen from Roebuck Bay in Broome, this illusion of a staircase to the moon is created when the moon rises over exposed mudflats at the extremely low tide. Visit the prehistoric rock formation called Wave Rock – eroded by the weather over millions of years, it’s been formed into a magnificent size and shape and is surrounded by wildflowers. 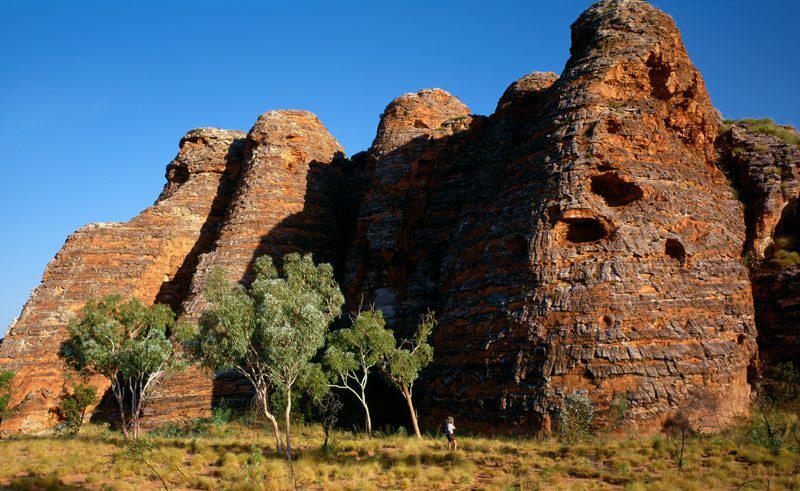 Explore the Bungle Bungle Ranges in World Heritage-listed Purnululu National Park pictured). Characterised by orange-and-black striped sandstone domes, often said to look a bit like beehives, this range was only ‘discovered’ in 1983 and is now one of the Kimberley’s most loved attractions. You can take a scenic flight, hike, camp and 4WD around the national park, and discover rock art, wildlife, craggy gorges and tropical pools. Explore some of these natural wonders and more on our Western Wonderland escorted tour. WA boasts nine sensational wine regions. By far the most well-known is Margaret River, three hours’ drive from Perth, in the southwest corner. There are also more restaurants per capita in Perth than any other Australian city. 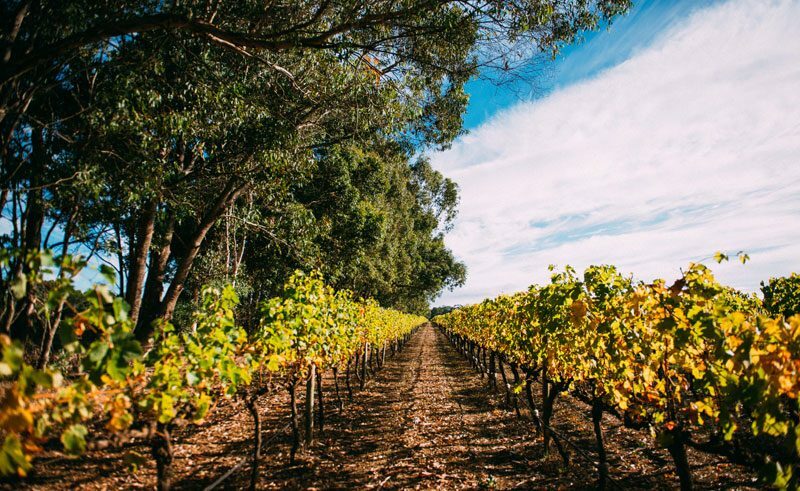 Did you know that Margaret River produces only about three percent of Australia’s wines, yet the region’s wine producers make about 20% of Australia’s “premium market” wines? Quite an impressive accomplishment for a region that has been growing vines for less than 50 years! Why not sample the renowned cabernet sauvignons or the award-winning chardonnays on our Whales and Wine of the South West 13-day self-drive. 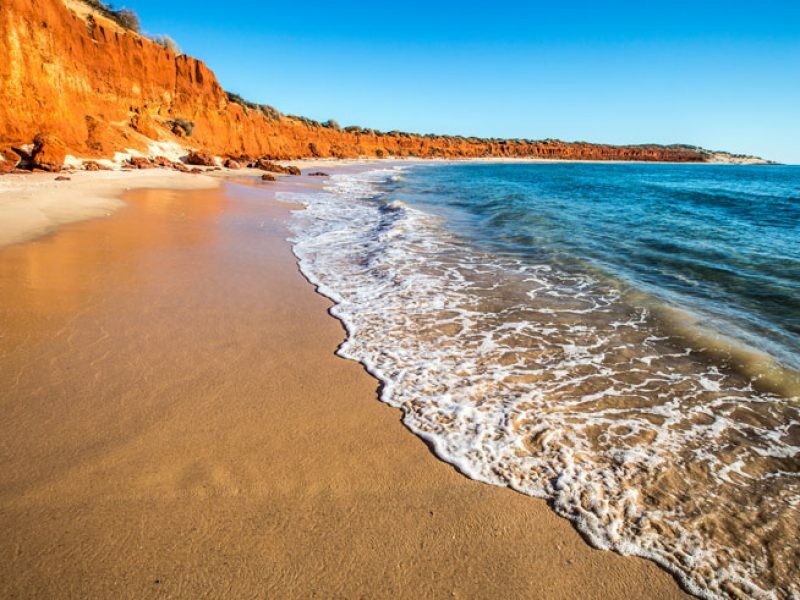 No holiday to Australia would be complete without a visit to the beach and Western Australia is no exception offering some incredible sandy beaches. 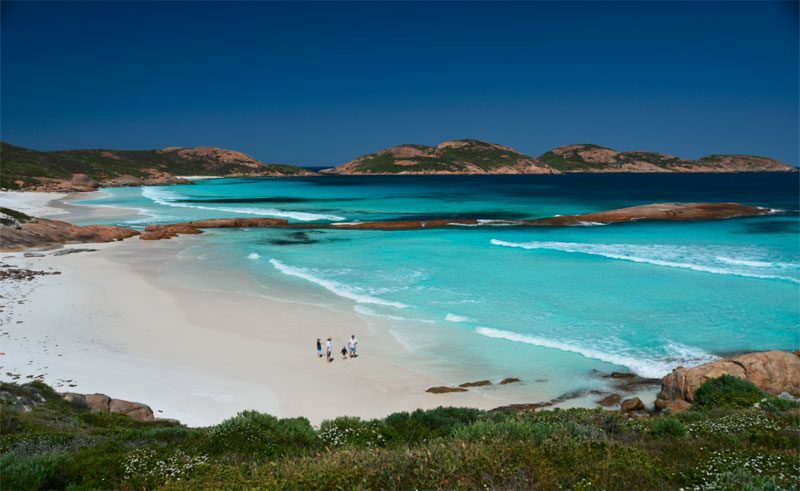 We recommend Cable Beach in Broome, Lucky Bay in Esperance and Yallingup Beach, Margaret River. Great for surfers, sun seekers and families alike. One of our top choices for a beachside holiday is our Sal Salis Reef and Outback Experience. Luxury wilderness camps in the sand dunes, impeccable food and wine, mere footsteps from the underwater world of Ningaloo Reef and of course between May and October the playground of migrating humpbacks, blue whales, orcas, dolphins, minkey whales, southern right whales, dugongs and… need we say more? Feeling inspired to visit WA? 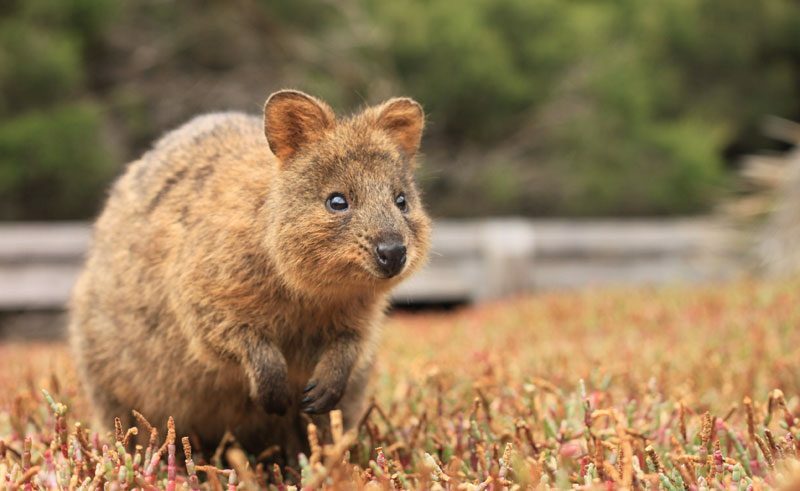 To plan your own Western Australia holiday, contact our team of accredited Australia Travel Specialists to discuss your options or browse our collection of itineraries.